Like many growers around the country, Richard Reed, host of the AHDB Cereals & Oilseeds Berwick-upon-Tweed arable Monitor Farm, is trying to evaluate the benefits of different cover crop mixes. Abby Kellett reports. This year, Richard Reed has trialled four different cover crop mixes at his farm in Ancroft where the Berwick monitor farm group gathered at the trial site to discuss the practicalities of growing cover crops. Soil scientist, Dr Liz Stockdale of Newcastle University, lead the meeting to discuss his findings so far. 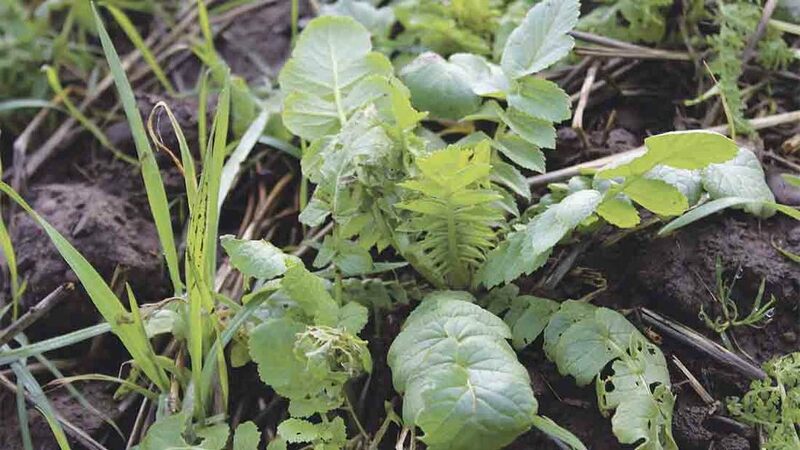 Although cover crops may be bucking the arable trend, growers were encouraged to have clear justification before thinking about growing a cover crop. Dr Stockdale said: “Don’t rush into cover crops because everyone else is thinking about them. It’s important to think about what benefit you want from them. “Predominantly cover crops are being thought of as a soil-improving measure, but that can mean different things. Dr Stockdale reminded farmers considering cover crops to first think about the following cash crop. “You absolutely don’t want to mess up the next crop. Think about how you will destroy the cover crop. Can you rely on frost kill? Will you spray off? Will you incorporate? Would you need to drive on your land at the wrong time? “Make sure that you use a site-specific crop and management strategy that fits with what you need. Keeping crops growing over the winter is a good thing for soil health, biology and structure and to minimise run off and soil erosion. The key question, Dr Stockdale explained, is whether the expense and time which goes into growing cover crops can be justified. However, cover crops are just one possible tool to fit into a farmer’s toolbox. “It’s really difficult to balance everything. We need to focus on the whole rotation, and to make cover crops work on a site-by-site basis,” said Dr Stockdale. 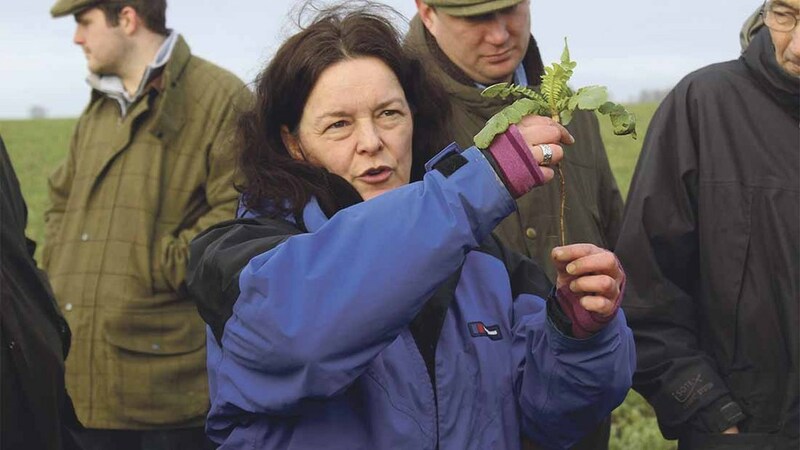 Looking at practicalities of growing cover crops in the north of the UK, farmers at the meeting were encouraged to consider drilling dates and the vigour of the potential cover crop species. In Northumberland, there is a tight window for drilling a cover crop and incorporating it into the rotation, which has an impact on the choice of crops. Dr Stockdale said: “Here in Berwick, the wheat harvest doesn’t often finish until the start of September, so cover crops can’t be established until after that. At Ancroft, Mr Reed hopes to increase the soil organic matter and humus levels of his soils in order to achieve higher yields and to improve timeliness of field operations. He sowed four different cover crop mixes across 9 hectares (22 acres) following a winter wheat crop. The mixes were sown into a heavy sandy loam soil on September 7 with a direct drill and received no slug pellets. Despite having seven inches (178mm) of rainfall in the region since December 25 in the region, on observation the water was holding well in comparison to the ground which did not occupy a cover crop. Vetch (60%), red clover (20%) and Egyptian clover (20%), costing £80/ha (£32/acre). Black oats and vetch, costing £39/ha (£16/acre). Black oats and berseem clover costing £39/ha (£16/acre). Oil and tillage radish, European oats, phacelia and forage rye, costing £38/ha (£15/acre). When assessing the soil structure, all the mixtures had an improved soil structure compared with the area that was left as stubble, highlighting the benefit of having a growing crop in the ground over winter. The clover in all mixes had been lost to slugs, however no slug treatment was applied throughout the growth of the crop. Therefore, in areas with a high seed burden, farmers should consider the risk of including clover in cover crop mixes. Mr Reed said: “I’ve learned so far that cover crops can be expensive to grow, and timeliness is key. Where we are up north the window is tighter. We need to focus on what we can grow well to make sure we do achieve something at the end of it. With most cover crops in the ground between September and March, the opportunity for fixing nitrogen will be limited since the process relies on sunlight. Root nodules are the first expression of the relationship between the plant and the micro-organisms but their presence does not necessarily mean nitrogen is being fixed.